Personal development is all the rage. Everyone is getting in on the action. But what exactly is it? Personal development is growth and enhancement of any or all aspects of yourself, the feelings you have about yourself, and your effectiveness at living to your full potential. It includes expanding self-awareness and knowledge, improving personal skills and developing a healthy and realistic level of confidence and self-esteem. With easy access to many different ways to improve yourself like online courses, many different types of coaches. and self-help books, becoming the best you possible should be easier than ever. Unfortunately, we want results right now. Immediately. Fast Food fast. We purchase courses and expect to have the results promised without doing any of the work. We want miraculous results in just one or 2 sessions with a coach. And we want the information in all those self-help books to flow into us by osmosis. Personal development takes time. Change takes time. It is not just about the end goal of being a better person. It is about the journey you take in living up to your full potential. It is also important to recognize that the actual process of change can be more meaningful than the benefits you realize from the change. Old habits take time to extinguish. When you have set ways of behaving or thinking, they are just that, set. They are pathways in your brain that says this is what I need or this is the best way to do something. No matter if it is something physiological like eating lots of sugar or smoking, or something psychological like thinking negative thoughts. Your current habits are easy for you but they limit your enjoyment and success in life. It does not matter if you know they are not good for you, or if you want to stop doing them, it still takes time to stop old habits and put new healthier habits into practice. If it were easy, you could just do it. This is about the journey. What are you willing to put into something is often correlated with what you get out of it. If you want to attain a high level of success in any area of your life, you need to put in the necessary time and effort. There are no shortcuts to success. Everyone would be successful if it were quick and easy. Realize that self-development is an ongoing process that will continue for the rest of your life. Accept that new habits take time to form. I have heard many different suggested time frames for forming new habits ranging from 7 days to a full 3 months. The reality is that it depends on what you want to change, how ingrained the habit is and the determination to change it. Studies have shown that habits can take up to 9 months to establish new habits. It depends on the habit and the person. The development of new, effective habits is required to see real change. Importance of repetition and consistency. There’s only so much change that can happen in one day. It’s when your efforts are repeated over the long-term that results happen. Habits are habits because you are consistently repeating an action or a thought pattern. Your personal development journey requires consistency to attain long-lasting results. 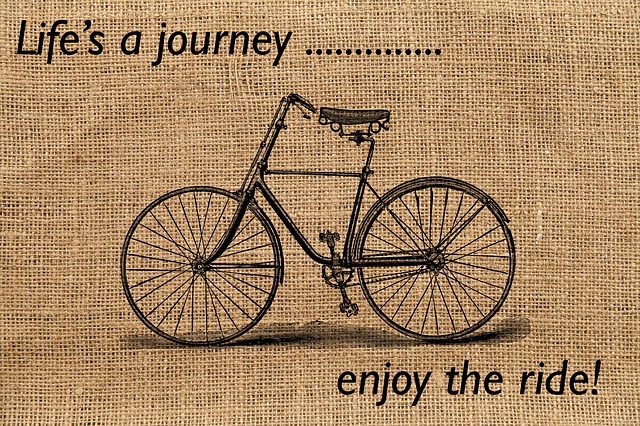 Life, not just personal development, is all about the journey. It’s about who you become as a result of the experience you have on your journey. For example, when you are able to overcoming your fear of public speaking, it isn’t just about being able to speak up at meetings or networking functions. It is also about overcoming your self-doubt and perceived limitations. It’s about stepping into your confidence and believing in yourself. So much of the enjoyment and meaning in life comes from the things we are able to overcome, either externally or within ourselves. Take a long-term perspective when you decide to embark on your personal development journey. Recognize and appreciate that you are becoming a better version on yourself every day you take the time and effort to make it a reality.